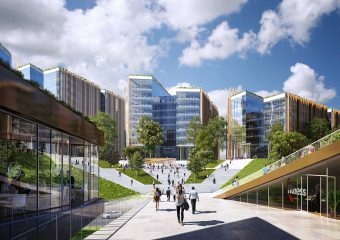 Discover our major town centre regeneration site at Power Court, including a new stadium for Luton Town FC and also our gateway vision for Newlands Park at Junction 10 of the M1 for an iconic mixed-use scheme involving offices, retail, leisure and a hotel. 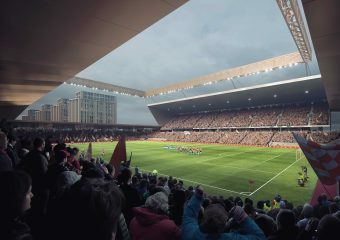 Find out more about the new Luton Town Stadium at Power Court. Information about the residential elements of the development. Information about the residential and supermarket elements of the development. Information about the 1,800 capacity live music and entertainment venue. The Power Court Development will breathe new life into an area of the town centre that has been unloved for many years, creating new community spaces. It's location adjacent to junction 10 of the M1 makes Newlands Park a superb location for offices. Find out all about the high-end retail planned for Newlands Park, a new shopping experience for Luton. Find out more about the Hotel and Leisure facilities planned for Newlands Park. 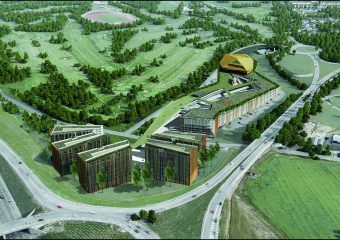 The Newlands Park development will include a hotel - ideally located for London Luton airport, access to London, via Luton's two mainline train stations and adjacent to the M1 motorway. The park and ride at Newlands Park, will provide quick and convenient access to the other facilities at Newlands Park, along with ample parking for its visitors. We have today written to the Council to request a short deferral of the committee date for our Newlands Park planning application.